With the start of spring and an increase in temperatures, the end of the winter moratorium on service disconnections for residential customers has arrived. 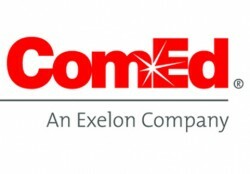 To help customers in financial hardship who may be facing disconnection, ComEd announced it has dedicated $10 million in assistance funds for the second consecutive year. These dollars are part of a five-year, $50 million commitment to help ComEd customers struggling to pay their utility bills, a result of Smart Grid law enacted in 2011. CHAMP (ComEd Helps Active Military Personnel) – This program provides bill-payment assistance to deployed members of the military and disabled veterans who have fallen behind on their bill and who reside within ComEd’s Northern Illinois service territory. Residential Special Hardship program – This initiative is intended to supplement established state-sponsored programs such as the Low Income Home Energy Assistance Program (LIHEAP). Non-Profit Assistance Programs – ComEd recently extended this program to include all non-profit organizations, including churches. This program provides a one-time variable grant of up to $2,000 for 501 (c) (3) non-profit organizations that are experiencing a hardship. ComEd offers a variety of ways for customers to access and pay their bill including, online at ComEd.com or ComEd’s free mobile app available at ComEd.com/app. To apply for the Residential Special Hardship grant, or the State sponsored assistance programs customers should visit a local LIHEAP Agency. For more information on any of ComEd’s assistance programs or to enroll in ComEd’s bill-payment assistance programs, call 1-888-806-CARE (2273) or visit ComEd.Com/CARE for more information.